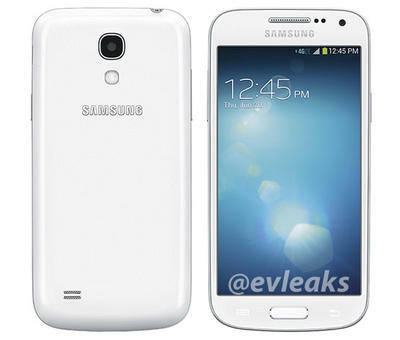 Samsung looks to be adding the Galaxy S4 Mini in both black and white to Sprint in the near future. 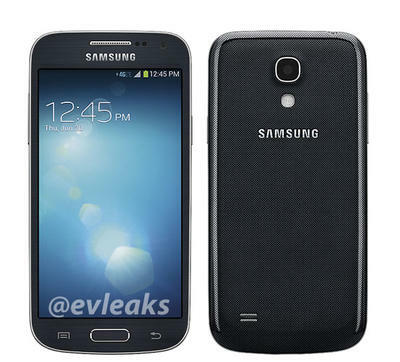 Prolific mobile leaker @evleaks has gotten his hands on an image that shows the smaller version of the Galaxy S4 in both black and white coming to Sprint. No word as of yet on when exactly the phone will make its appearance, but with the image out there we have to imagine it’s not too far away. As a refresher for everyone, the Galaxy S4 mini features a 1.7GHz dual-core processor, a 4.3-inch qHD screen with a resolution of 960 x 540, Android 4.2.2, 1.5GB of RAM, 8GB of ROM storage, microSD support up to 64GB, a 1900mAh battery and many of the other usual features you find on today’s smartphones. The Galaxy S4 Mini may not be the most cutting edge phone on the market today, but if you’re looking for a Samsung or Android phone and you’re on a budget, it’s hard to go wrong here.